Adelaide Clemens (foreground) with Eshan Bajpay (left) and Robert Petkoff in "The Hard Problem." "The Hard Problem" is nothing less than you would expect from Tom Stoppard at his best. It's an intellectual barrage of ideas and the arguments surrounding them, tied together by a plot that seems incidental but ends up masterfully illustrating the concepts. This latest play by Stoppard is about consciousness, how we develop it and whether neurological science - which tells us so much about our brains - could ever explain the way we make judgments. I first saw it at its American premiere two years ago in Philadelphia and was intrigued by it then. Stoppard has worked on it, and in New York it's tighter and more forceful. 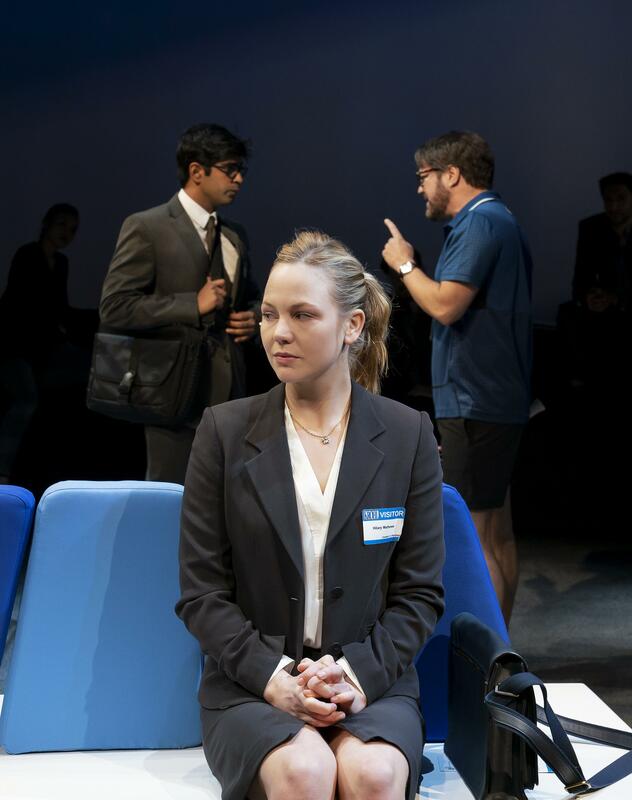 The play's characters work in and around a research institute for brain science, where some are trying to find a link between science and judgment. Some people will find "The Hard Problem" a heavy-duty mind trip. But I bet for many, the play will be a tonic, composed of Stoppard's mix of research, bang-bang dialogue, arguments that force you onto sides, high-toned word play and simple gall. I found myself being joyfully battered by it, trying to follow the different arguments. Stoppard draws from psychology, brain science and simple observation. The Lincoln Center production directed by Jack O'Brien stars an excellent Adelaide Clemens as one of the researchers. It's at the Mitzi Newhouse Theater.